Engie's CEO Isabelle Kocher told a French Senate Committee on May 25th the company was considering closure or sale of the Hazelwood Power Station in the La Trobe Valley. "For the Hazelwood plant, we are studying all possible scenarios, including closure, or a sale if the state of Victoria tells us that it cannot meet power generating needs without this plant," Kocher said, according to a Reuters report. 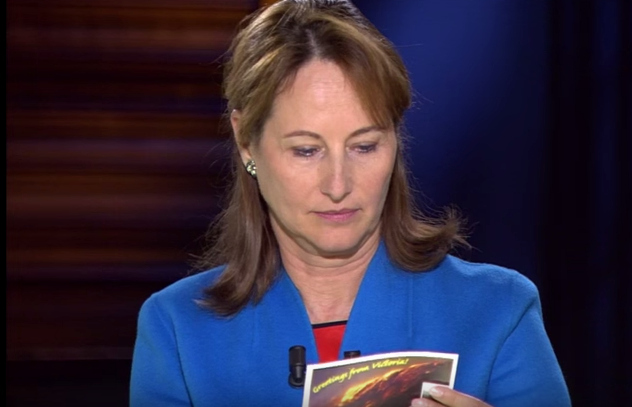 As the French state is a major owner of Engie, Minister of Ecology Ségolène Royal announced on French TV on May 25th that Engie would "disengage" from the Hazelwood plant. 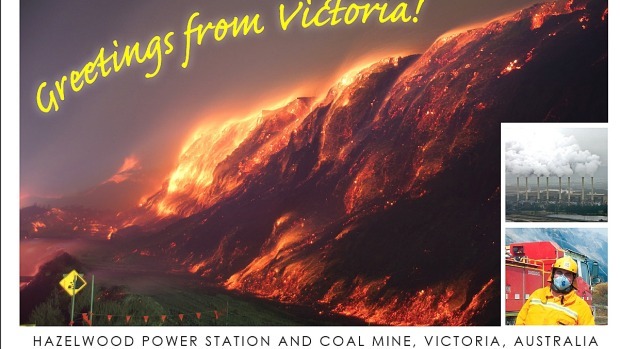 During the interview the Minister was presented with a postcard by Environment Victoria regarding the 2014 mine fire. At the end of the show she was handed a mailbag full of postcards. Environment Victoria Campaigns Manager Nicholas Aberle called for Engie and the Victorian Government to collaborate in planning an orderly transition in the closure of the Hazelwood power station and mine, in conjunction with the local community. “It is time for the Andrews government and Engie to now work together on a timetable for the phase-out of Hazelwood which reduces our climate pollution, delivers good rehabilitation outcomes and supports workers and the Latrobe Valley community to diversify the local economy." Aberle said in a statement. Engie's Australian operations stressed in a media release that despite "difficult trading conditions which continue to be experienced in the National Electricity Market", that "any decisions on investment, divestment or closure are made by the ENGIE Board, with approval by shareholders. No such decision has been made regarding Hazelwood." Morwell State MP Russell Northe (The Nationals) called for a phased closure, "It is important from my perspective that we don't have a closure at a point in time. I think if there was gradual shut down of units that would be a far better proposition for any transition in the Latrobe Valley. A gradual closure gives the opportunity for staff, employees to better cater for that type of transition." said Mr Northe according to an ABC report. Greens State MP and spokeperson on Energy Ellen Sandell said, "What this means is we urgently need leadership from the Victorian Labor Government to put in a transition plan so that the workers and the community have alternative jobs for when Hazelwood closes, which might be a lot sooner than expected." But it seems the Andrews Government haven't drawn up any engagement or transition plans to anticipate closure or sale. Victoria Resources Minister Wade Noonan said there were no immediate plans regarding Hazelwood. "The Government has been in contact with the mine's owner Engie about this matter and I'm advised that no decision has been made," Mr Noonan said. "Those discussions will continue. As the state's new Resources Minister I look forward to meeting with the Latrobe Valley's coal generators as well as local residents to discuss these issues." reported the ABC. The French state is the largest shareholder in the French utility company, Engie, holding one third of the company shares. Kocher told the French Senate committee of it's plans for a gradual withdrawal from coal-fired power generation in the coming years. As part of the lead up to the UN Climate conference in Paris, in October 2015 Engie announced a policy of no new coal investment, but continued with existing dirty coal plants such as Hazelwood. Engie were one of the primary corporate sponsors of the COP21 climate conference. During 2016 the company has announced the sale of two coal plants in Indonesia and India this year, with the share of coal in its energy mix falling to about 10 percent from 15 percent. After staging the UN climate conference in Paris in December, the French Government under President Francois Hollande continues to maintain momentum for climate action. In April 2016 President Hollande announced that in 2017 it will set a carbon tax price for the electricity sector at €30 a tonne. This move is a symbolic bid to stir European action to cut emissions and drive forward the Paris climate agreement. But the impact on France will be relatively small, as nearly 78 percent of electricity production is nuclear, 16 percent from renewable sources (12 percent hydro, 3 percent wind and 1 percent solar PV), and only 6% of electricity thermal power from coal and gas. But it seems the devil is in the detail. Gas producers are not subject to the carbon pricing and both Engie and Total have plans to expand gas production according to economist with Attac France Maxime Combes in an analysis published in Médiapart(fr). Pressure is on Engie politically from above to transform it's business model with regard to coal. It has started this transition with a new CEO appointed (Isabelle Kocher) and plans to transform it's energy focus away from coal fired plant, to renewable energy technologies, smart grids and battery storage. In fact, Engie has just purchased an 80 percent stake in the Californian firm Green Charge Networks marking entrance into the growing battery sector. 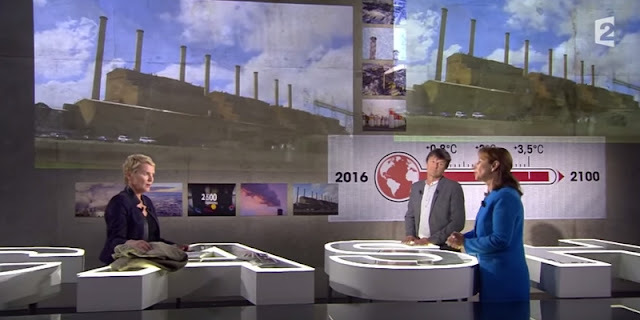 An investigative story was broadcast May 24th on France 2 Television by the Program 'Cash Investigation' about French corporate investment in high polluting carbon assets including the Hazelwood power station and mine, and the Albertan tar sands. The Cash Investigation program does investigative journalism stories similar to the ABC's 4 corners program. This particular program, "Climat : le grand bluff des multinationales" (Climate: The multinational bluff), was filmed by Jean-Baptiste Renaud, and investigated the carbon investments of 3 large French Corporations: Engie, Total and LaFarge. In particular, the program featured interviews with Wendy Farmer from Voices of the Valley and David Briggs, and described the impacts of the 2014 Morwell mine fire disaster. Towards the program end, journalist compare Elise Lucet interviewed Anne Chassagnette, Engie's director responsible for environment and society at Engie's Paris headquarters, putting to her the results of their investigations conducted in Melbourne and Morwell. Later Lucet interviewed the Minister of Ecology Ségolène Royal, who announced Engie would "disengage" from the Hazelwood plant and acknowledged the need for Engie to close all it's coal fleet. There is a big social and moral difference between sale of an asset and closure. And this was highlighted in the broadcast by Malika Peyraut from Friends of the Earth France. "Engie must not disengage and wash their hands of all responsibility. The sale of Hazelwood would be the same for the climate, and would testify to the total hypocrisy from Engie! The company must close the plant, rehabilitate the mine, accompany workers and meet the needs of local communities. More generally, we expect a rational exit plan of the whole coal fleet," said Malika Peyraut, Friends of the Earth France in a media statement (fr). Engie came under intense pressure from investors and the community in May 2016 at their annual AGM where questions were asked about the future of the Hazelwood Power station. So is Hazelwood to be closed or sold? Read Isabelle Kocher statement again: "For the Hazelwood plant, we are studying all possible scenarios, including closure, or a sale if the state of Victoria tells us that it cannot meet power generating needs without this plant,"
While closure and sale are both on the table, trying to sell Hazelwood may prove extremely difficult. Effectively it is a stranded asset. It needs to be closed, decommissioned and the mine rehabilitated. 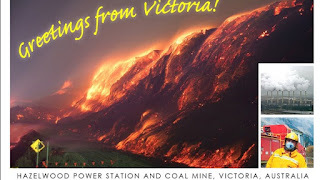 The first reason for it's closure is that there are too many coal fired power stations in the market, and the National Electricity Market grid has a current (2015-16) excess of about 11,876Mw with about 2000Mw in Victoria, according to the Australian Energy Regulator. Hazelwood contributes just under 1600Mw. Closures of the Port Henry aluminium smelter and imminent closure of car manufacturing plants at Broadmeadows and Geelong will probably boost this excess capacity further as demand from manufacturing falls. Continuation of the aging polluting coal behemoths are squeezing out investment in renewables, according to David Spratt. Even the most pro-active Victorian Renewable Energy Target and policies will find it hard to attract the necessary private investment to transition to renewables unless coal plant closures like Hazelwood happen. “Burning brown coal is 50% of Victoria’s climate pollution, and we need to urgently cut this pollution if we’re going avoid the worst of global warming." articulated Dr Aberle from Environment Victoria. The results of the 2014 mine fire inquiry were published in April 2016, and the Victorian Premier Daniel Andrews announced in Morwell the Victorian government's response entailing an initial $50 million in the Victorian state budget to implement the recommendations and increasing the rehabilitation bonds for the three La Trobe Valley brown coal mines. This announcement was broadly welcomed by the La Trobe Valley community. “The Andrews government provided $40 million in its recent state budget to start diversifying the Latrobe Valley economy. The transition from coal to renewable energy is inevitable, but we need to speed it up, at the same time as looking after the workers and communities who have been so important to powering the state," said Dr Aberle. The second reason finding a buyer for Hazelwood may prove very difficult are the liabilities and court action presently under way relating to the 2014 mine fire. Engie is facing 3 seperate court actions plus increased mine rehabilitation bonds. The Country Fire Authority (CFA) is seeking recovery of $18 million in firefighting expenses as their fire fighters spent 45 days of hazardous work in putting out the mine fire. Worksafe Victoria is also pursuing Engie companies with 10 breaches of health and safety regulations regarding the mine fire. The Victorian Environment Protection Authority is also prosecuting air pollution offences charging four companies in regards to the 2014 mine fire. We know change is going to happen. It is better to plan for it, rather than suffer the disruption when a company arbitrarily pulls the plug. Transition for communities in the La Trobe Valley will be difficult. They endured the privatisation of the electricity sector in the 1990s which was done very badly from a social perspective with communities poorly supported by government. We must not let this happen again. Transition away from coal will see more well paying jobs phased out, and hence the need for Government sitting down with the company, union representatives and local community to plan an orderly phase out and transition, providing retraining opportunities, building new employment opportunities and encouraging economic diversification in the region. This isn't going to be an easy process. Just as people in the La Trobe Valley took great pride in providing the electricity for Victoria, our state needs to support these communities in this transition process which will benefit us all in terms of better health and reduced climate impacts. It is clear this energy transition needs to take place driven by the imperitive of achieving a zero carbon economy in 30-40 years maximum as outlined and implied in the targets set by the United Nations Paris Agreement on climate change. In Melbourne this week the Australian Council of Social Service (ACOSS) and the Brotherhood of St Laurence conducted a forum on Achieving a zero carbon economy with just transition. This forum highlighted the complexity of issues that needs to be addressed with climate change and social transition and the need for inclusive planning. For some of the sessions I sat with Wendy Farmer and Tracie Lund from Morwell. Sadly, Tracie Lund highlighted in a tweet that there were no representatives present from LaTrobe City Council. Catch the interview (in French) between journalist Elise Lucet, presidential special envoy for the protection of the planet Nicolas Hulot and Minister of Ecology Ségolène Royal at 1hr52min into the documentary. Professor Christian de Perthuis, an expert in climate economics, also joined the discussion. Les Amis De La Terre - 25 May 2016 - Cash investigation : Ségolène Royal annonce la fin du charbon, que va faire Engie ?